It’s reveal day! Do you guys remember when I showed you the progress of this room last year?! We’ve come a long way since then, and I feel like I can say this room is actually finished. 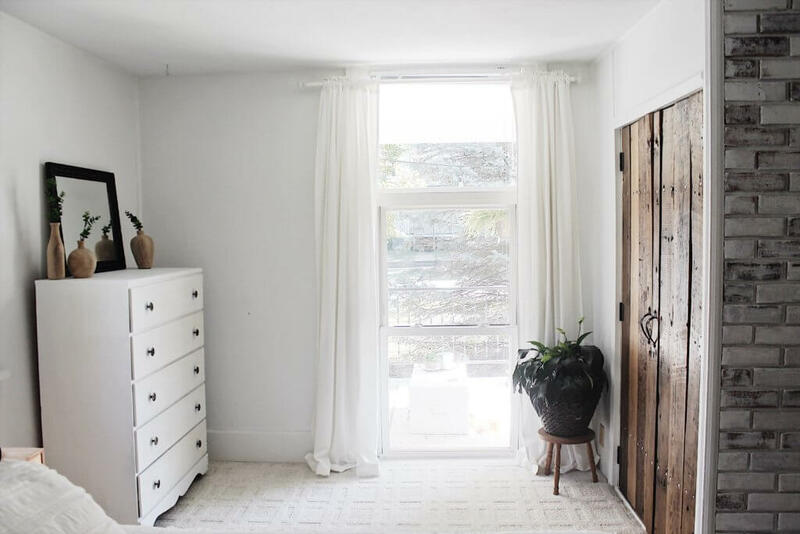 Well, as finished as a room with a perpetual changer can be…:) It took me a long time to decide what style this room is, before landing on calling it a modern farmhouse bedroom. I have a really hard time defining my style, and its definitely a mix of farmhouse, boho, and some other styles I don’t really understand! If you guys can think of a better description for this bedroom, PLEASE let me know in the comments! 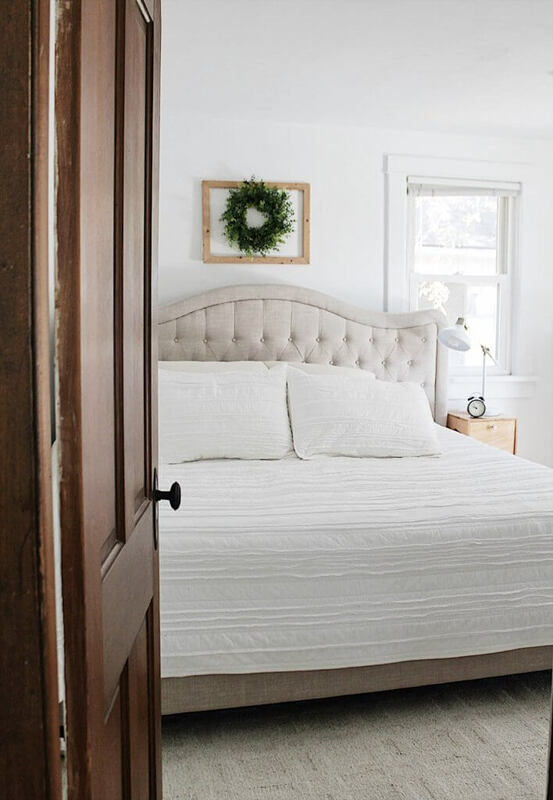 But for now, we’ll chug along with the whole modern farmhouse bedroom theme! I would say we have the world’s tiniest bedroom, but I know that’s not true. Our last bedroom ended about where that window by the nightstand sits. It was literally a bed-room, because nothing except our bed fit in it! So even though we’re a little cramped here, and the layout necessitates shoving our king bed up against the wall, I’ll count my blessings! I promise that no voodoo photography tricks were used in the making of these photos! 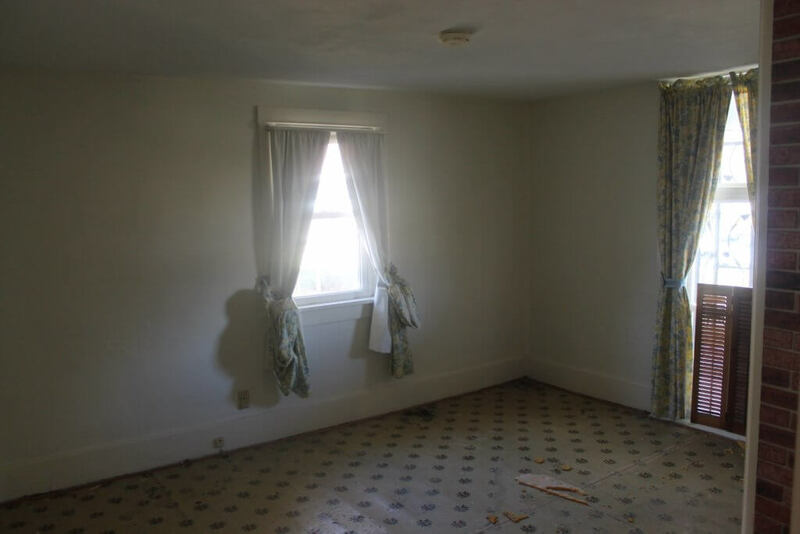 This is the same room, from the same angle, shot with the same camera. That’s the power of white paint and NOT hanging curtains INSIDE the windows. But that’s a rant for another day. 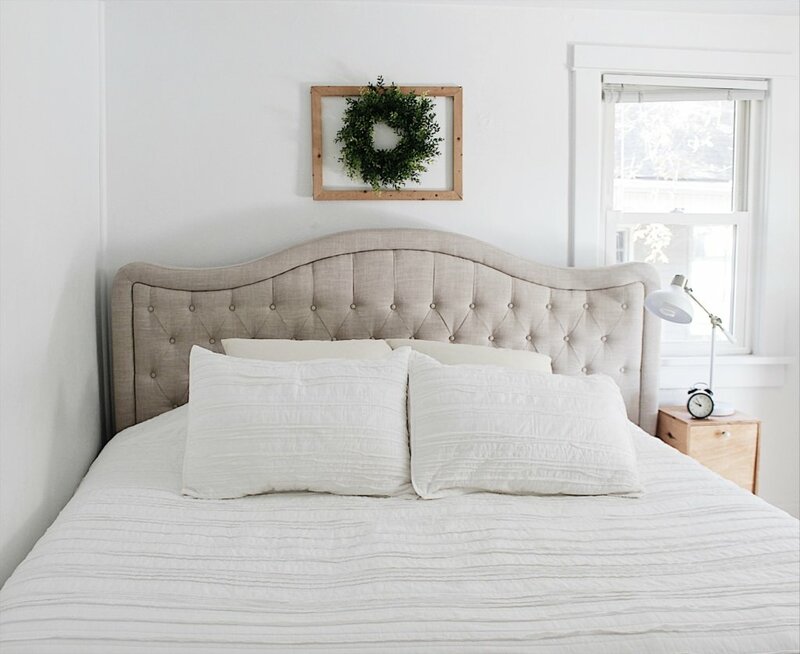 And if you checked out our previous bedroom reveal, you’ll see there’s a lot of new stuff going on, like that headboard! It was a birthday present from my husband and I could NOT love it more. After 7 years of marriage, we are no longer bohemians sleeping on a mattress on the floor! We also really decided to live large and spring for a king-sized comforter to actually fit our bed instead of the full size one we had been squeaking by with. And when I say we, I mean me. I snagged it on a super-deal and switched it out without telling my husband. It’s been 2 months and he still hasn’t noticed so I’d say we’re good! It is the Threshold Raw Edge Quilt from Target! Moving right along, you can see how the room looks from our bed. Hello, floor to ceiling window! 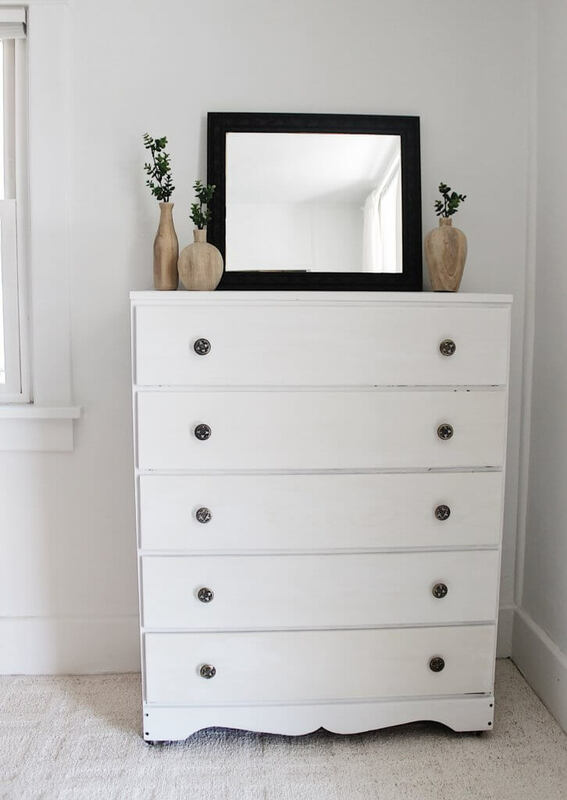 I inherited this dresser from my grandma, and you can see the transformation of it here! And here we have the world’s tiniest closet, for SURE. Total win because there is a huge air duct running through it. Can we say #Oldhouseproblems! But I love it and luckily I subscribe to the capsule wardrobe mentality anyway. 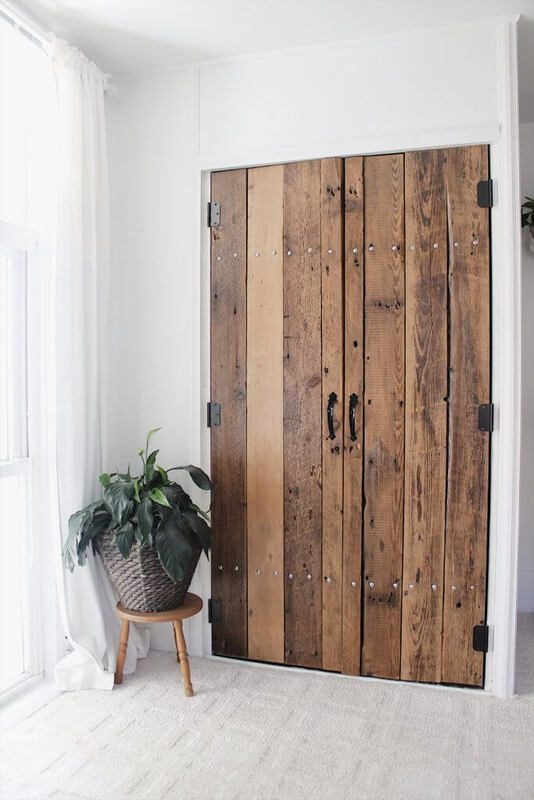 Doors were a huge dilemma for this short, odd shaped door, until my husband built these beauties out of lumber he helped his brother rip out of his home. So they were free. Win. You can read all about how he made them here. EEK! It’s a fireplace mantle, in our bedroom! I’ve wanted one in here forever, but in such a small space, it just wasn’t practical. Until we inherited that large dresser from my grandma. Now, all our clothes fit in it and we no longer need two dressers which means, BAM. Room for this beauty. My hubby whipped it up out of scrap materials from our large DIY shiplap fireplace so it didn’t cost us a dime, either. Yay for free projects! I’ll be sharing a post on how we built it, soon! 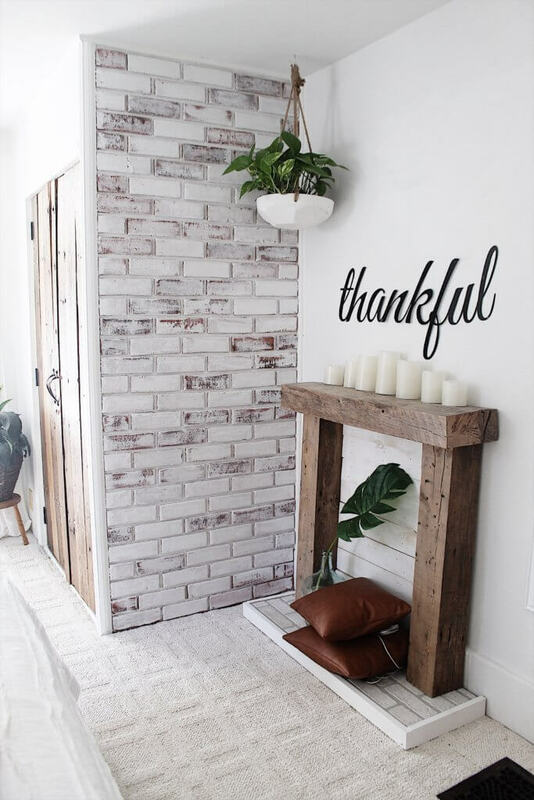 How awesome is that “thankful” sign above it?! It was made for me by the lovely Jaime at Vintage Metal Co and you can find it here. 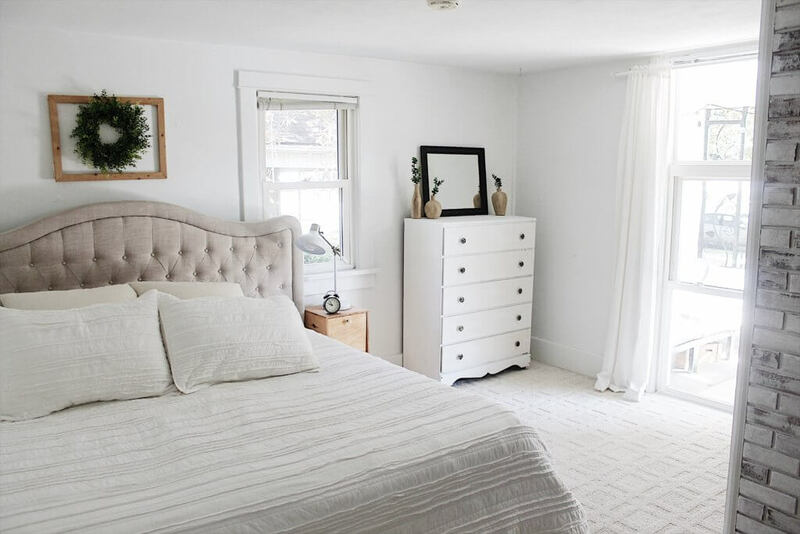 So there you have it guys, our cozy little modern farmhouse bedroom! Wow, what an amazing and beautiful transformation! Aww Lisa, thank you so much!